Snow trucks were sabotaged last week in Mount Vernon, and now crews are trying to make sure it doesn't happen again. Marc Santia reports. After the chaos that followed due to an overnight sabotage that temporarily disabled the City of Mount Vernon's entire DPW truck fleet a week ago, including snow plow trucks and salting truck, officials are taking precautions as another wintry mess approaches the region. Getting ready for the storm in Mount Vernon not only means making sure the plows are ready but it also means a security guard, security cameras, and employees on heightened alert after latex gloves were stuffed into the fuel tanks of all DPW trucks Feb. 12. This act prompted the vehicles to break down when they went out at 6 a.m. last Tuesday to clear and salt the streets following a winter storm, the city’s spokesperson said. 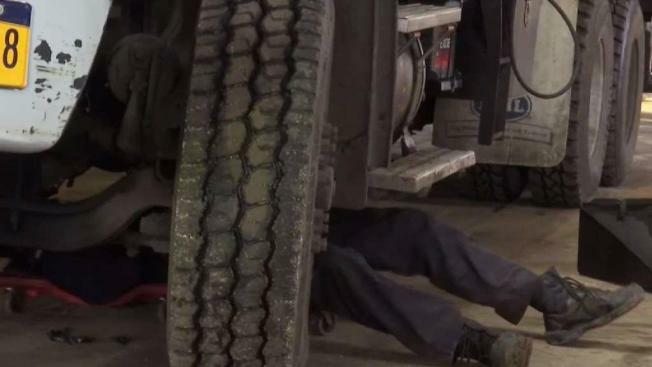 There was no permanent damage as all the gloves were removed and all but two trucks were fixed, but police are investigating the incident as an act of vandalism. 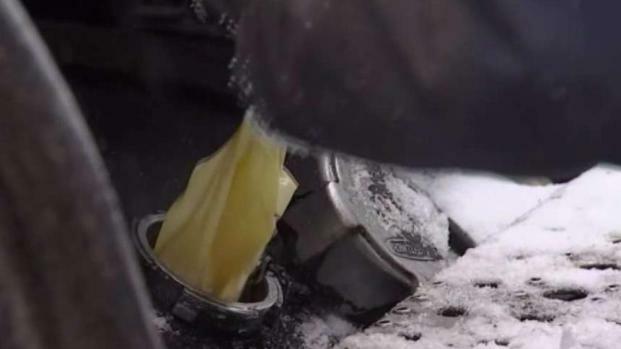 More than a dozen snow plows had to be taken off the road in Westchester Tuesday after drivers found rubber gloves stuffed in the fuel tanks. The mayor is blasting the prankster for putting lives in danger. Ida Siegal reports. During the latex glove sabotage a total of 13 plows and 16 sanitation trucks were vandalized, officials say. "They started going truck by truck and low and behold rubber gloves were found inside all the tanks,” Edgar Torres, the garage superintendent, said following the act of vandalism. Following the alleged act of vandalism, Mount Vernon officials said they believed that one or more people entered the garage at 20 Canal St. between 3:30 p.m. Feb. 11 and 5 a.m. Feb. 12 and stuffed the latex gloves in the gas tanks of the city’s municipal trucks. Thomas tells News 4 New York, the investigation into the vandals is progressing and they didn’t stop the snow plow operation because city workers rallied together to take care of residents.